Hey all you shoppaholics 😉 I hope you all had a fabulous start into the new week! 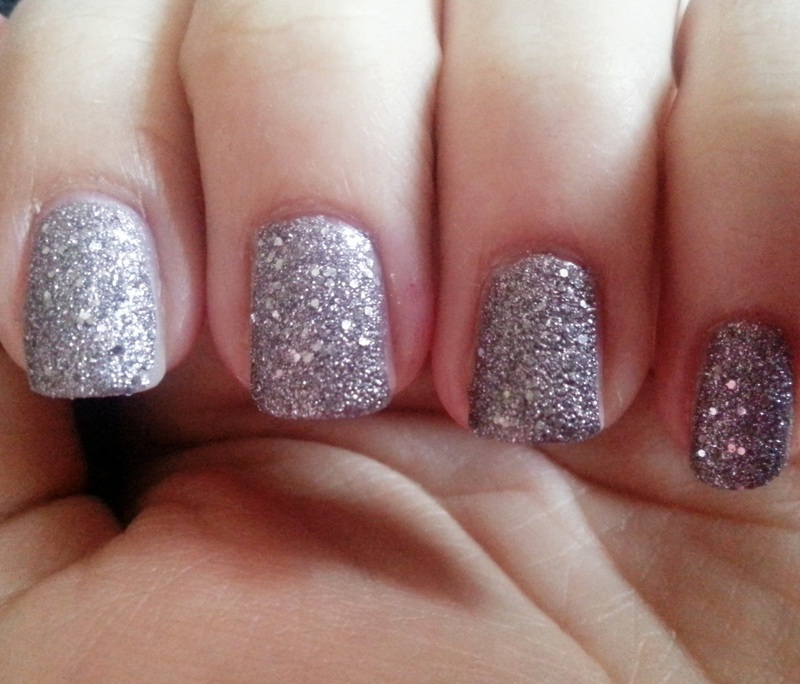 Today I wanted to show you the new nail polish I ended up buying. I love it! You use two different nail polishes to get the desired result. The first layer you should apply is Anny 630 shooting star. The color is not wow, but the polish is special. It feels like it has sand inside and makes the surface of you nail rough. This is the perfect preparation for the second polish, Anny 680 rock your nails. Applied on top of the first polish, it will look like a velvet coat. 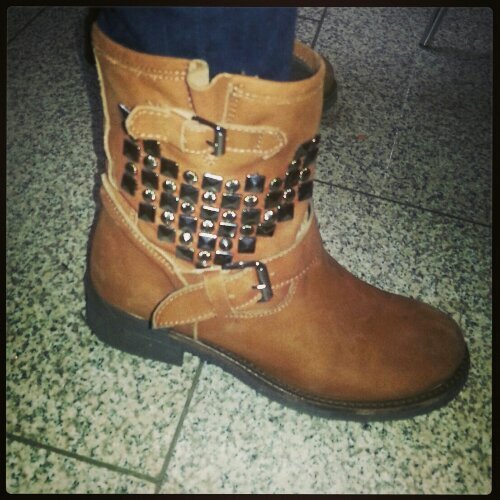 Today I saw my younger cousin and I just loved her leather boots! The studs and the color go very nicely with jeans. What do you guys think? 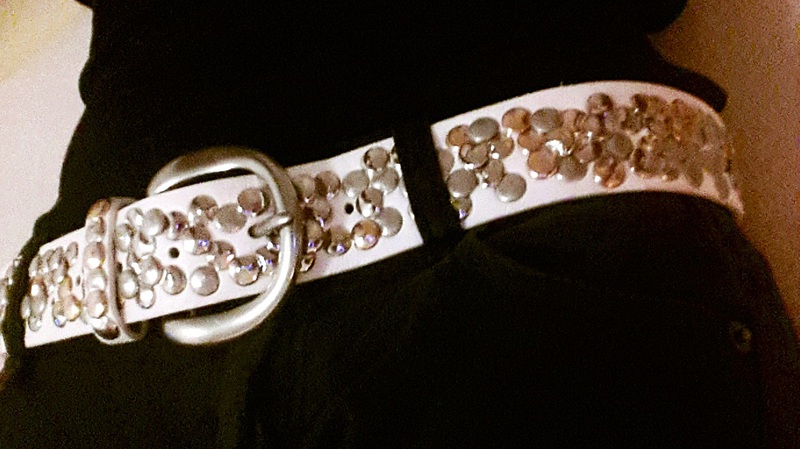 Again this is a great way to wear metallics, which I can’t get enough of at the moment 😉 In the picture I’m wearing all black, but the belt also looks great with jeans,or colored pants. Just mix and match and find your favorite combination!